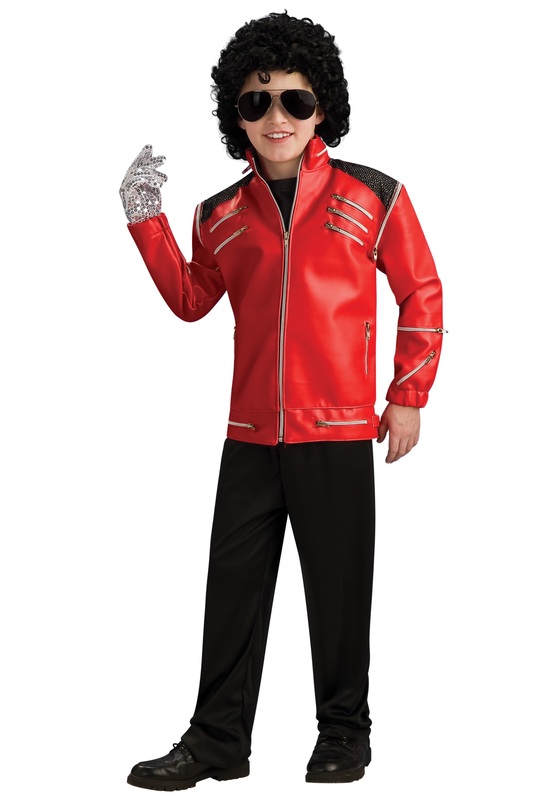 If your little one loves to dance then they'll love pretending to be the King of Pop in this great jacket. This is a smaller version of the one that was worn in the great "Beat It" music video from 1983. Your young music lover will love taking a trip to the crazy 80s so he can experience all the awesomeness that the decade had to offer. From tunes to fashion, the 80s were an innovative time so musicians like Michael Jackson thrived. Introduce your little one to the decade they didn't get to experience by dressing them in this jacket. Add the sparkly glove, wig, and sunglasses to the look and your little one will transform into the King of Pop! This costume could possibly enhance your child's dance skills too. Who knows, maybe they will be moonwalking across the floor and saying "Shamone" before you know it! My son looked so well with this jacket. He got many compliments on how he looked. Thanks for the great service and fast shipping. You can't beat that costume! I am glad your son had fun wearing it. Thanks for the 5 star review! !